I like games and now and then i make an upgrade, not too expensive because i don't play too often. This time i've bought a GTX 1050Ti Nvidia video card and i found i have a little problem, for some reason my games were running on the wrong monitor until i have found the solution. Most of the games will run on your primary monitor by default. 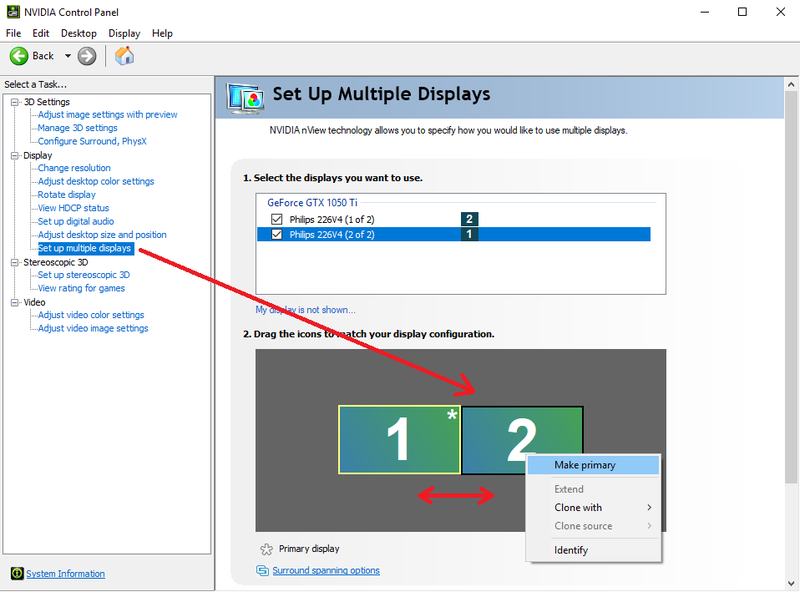 But you can select which monitor to be your primary monitor from Nvidia Control Panel. You can drag the monitor icons between them to change their position. As you can see, monitor nr. 1 is my primary* monitor now, if you want to choose the second one as your primary, right-click and click on Make primary. Then click Apply.